My Lone Star Christmas by Samuel E. Warren Jr.
Christy Warren, Leneil Saldana, Rayniel Saldana, Ranilo Saldana, Junea Tanahale and Esmeralda Tanahale, all worked to create the artificial silver Christmas Tree at One Warren Way, Barangay Baras. 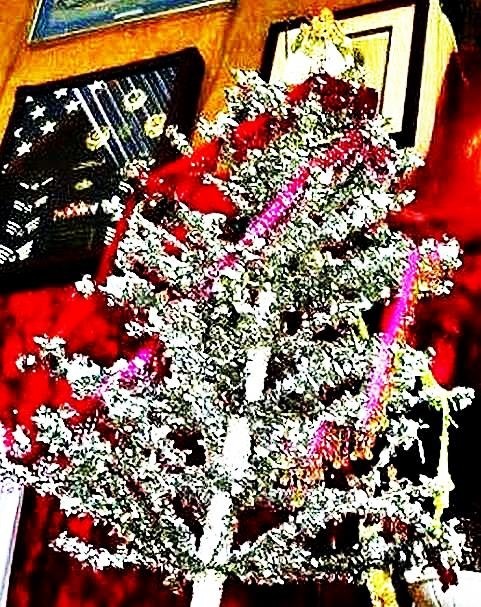 Every time I look at the tree I am reminded of the silver artificial tree that my Aunt Bill and Uncle Audrey used in Houston, Texas in the 1960s. Photo by Samuel E. Warren Jr. In childhood, I always had a remarkable Christmas. Both of my parents had had “a hard life” growing up on the farm in rural Missouri and rural Texas. The secret to “My Lifetime Of Privileged Childhood Christmas Days” was my mother and father, especially my mother. Both parents, “were bound and determined” if they ever had a child – that child – would have a better life “growing up” than they did. “My Childhood Christmas Celebrations” were always outstanding. The devotion of my parents to make life better for their child guaranteed that the slightest detail was never overlooked. In Houston, my mother always planned my Christmas holiday celebrations with the precision and intensity of someone required to brief the Joint Chiefs of Staff. Momma never overlooked any details. I remember Momma taking me with her to go shopping downtown at Woolworths and grocery shopping at Weingartens, in the suburbs. The Airline Shopping Mall was one of the first major shopping malls built in our section of Houston. It was a place of wonder, when I was a child. There were so many shops with so many items to a five-year-old boy it looked like you could shop nonstop for a week. Momma would swing by Aunt Bill’s house and pick her up or she would take a bus and meet us in the cafeteria of Woolworths. Momma never left me with a babysitter, so wherever she went – I went. Of course, Aunt Bill would take me by the hand and we would go shopping in the toy department, while Momma would shop for other items on her shopping list. Aunt Bill never had a driver’s license until after her 48th birthday, when she passed the test. Nights close to Christmas, Momma would have daddy set aside the night shift job to go Christmas shopping with us. 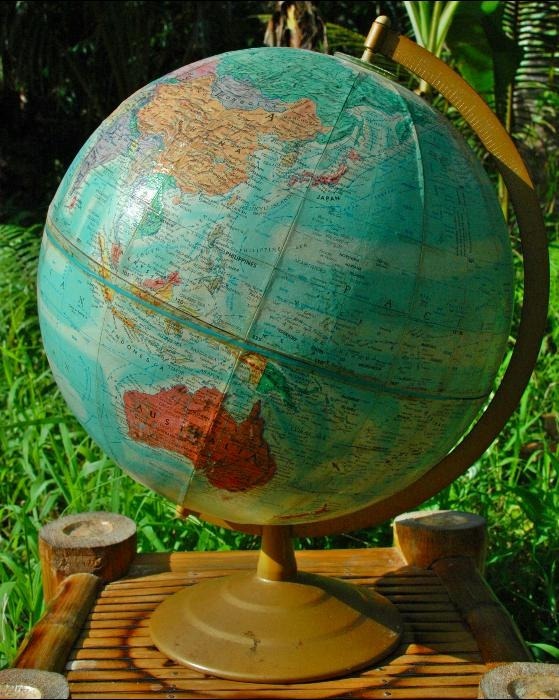 There was a huge store called, “Globe” that seemed to stretch for acres across the horizon in all directions. We would make evening shopping trips to Globe to browse the long aisles. The southern United States definitely has a distinct sense of protocol that is missing from the northern states. 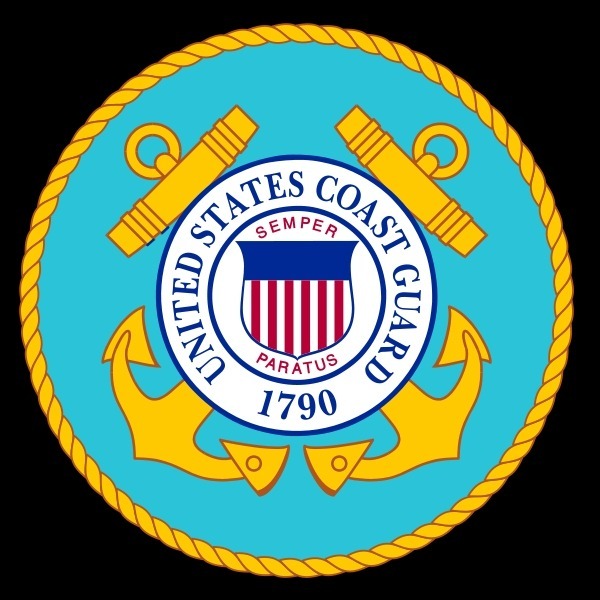 It is a sense of protocol and etiquette not much different from any branch of the United States Armed Forces. Like a United States Marine, a Texan is all about God and Country, which means “The Battle Of The Alamo” is engineered into your DNA and the follow-up report of where General Sam Houston and the Texicans caught up with Santa Anna and his men is engineered into your RNA, which translates to “The Lone Star” will find a way to shine through any adversity at all costs. Citizens of the other southern states have their sense of pride. Texas and Texans citizenship genetics is a unique blend of confidence, arrogance and pride. Louisiana citizens share a state pride that is similar to the Texan’s. Some of the original settlers of Louisiana had been forced to leave their native land and essentially found sanctuary in Louisiana. Then, you factor in the French heritage and the Caribbean cultural influence to create a unique state. Factor in lawyers trained in the Code Napoleon, who practice law within the United States’ modified British legal system and Americans at large consider Louisiana an oddity best visited during Mardi Gras. All the states of the United States have unique cultures based on their histories. The southern states have always had the European heritage belief that suggests your heritage should be a part of who you are —- rather than just an old family history book in a box packed away in a storage unit and forgotten about. Texans and Louisianans simply seem more ready to embrace their family heritages and proudly live in the spotlight. The traditional southern culture concept is based on respect and politeness. Children in the southern states in 2012 may not be as formally trained as I was as a child. 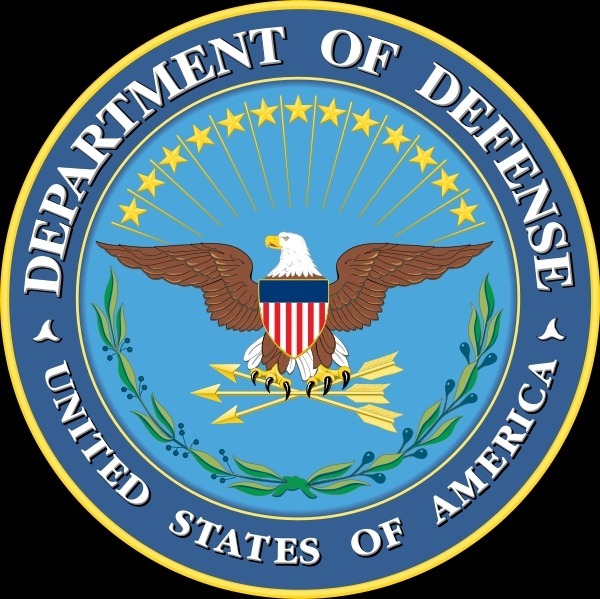 When I first went to “boot camp”, my first Military Training Instructor, Technical Sergeant Carr, a native of Kansas City, Missouri, accused me of being a “smart aleck” because I answered, “Yes, sir” and “No,sir” as soon as I got off the bus at Lackland Air Force Base, Texas. 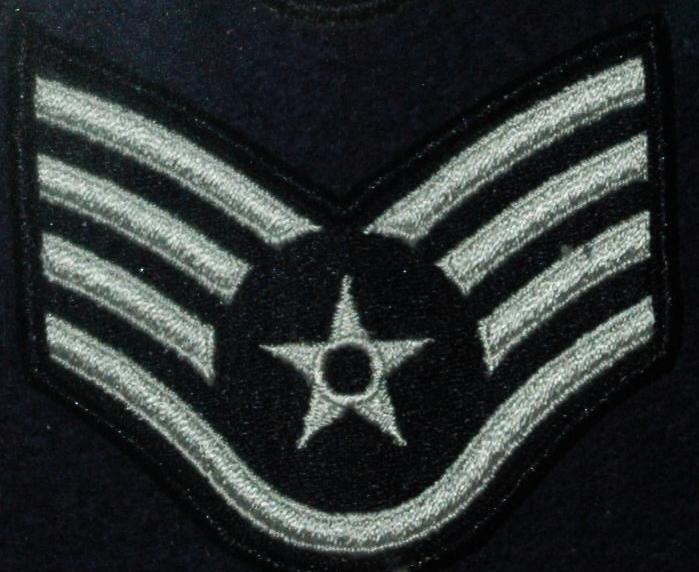 “Airman Basic Warren are you being a smart aleck with me,” he grumbled at the top of his lungs loudly into my face. I was taught that children did not interrupt adults talking in a conversation. You let people finish saying what they have to say, before you reply. Anyone older than you are is always Mr., Mrs, Miss, Mz. Never ever refer to a middle-aged or senior citizen by their first name, even if they tell you it is okay. You would still call them by their respected title and last name. When Momma and I moved to Missouri, my first three years of school I always felt weird because the Southern Protocol had been engineered into my DNA. Classmates would look at me weird when I added Mrs before the last name of their mothers and added Mr before the last name, when addressing their fathers. In the Ozarks, kids call adults by their first names. In the Ozarks, kids could answer, “Yeah.”, “Yep.”, “Nope”, or “Nah.,” I was never allowed to use the informality. I was taught it was okay to call kids my own age by their first names and if they had a brother or sister only one year older. If the brother or sister was two years older than my classmate then the Texas and Southern Protocol default kicked in and I had to add Mr., or Miss. The Southern Protocol was always comfortable and normal “Down South” because everyone did it. But, using the “Southern Protocol” procedures in the Ozarks always made me seem like a “foreigner” to my classmates, their siblings and their parents. By the fourth grade, I didn’t care what my classmates thought of my “Southern Protocol.” Daddy expected me to do it. Momma required me to do it. I did it. By fourth grade, “Southern Protocol” was like eye color – it was a part of me. Momma took pride in being known as a Missouri hillbilly. She often referred to herself as a hillbilly. People would nod. Then, of course, when she called someone “Mr. Keithley” or “Mrs. Keithley,” Ozarkers would frown at the Mr., or Mrs.” being added before the last name, when they expected to hear a first name. As a child I would smile and wonder why Texas just didn’t issue a passport that the other states would recognize. Texas Protocol and Southern Protocol in day to day business affairs in the Ozarks was like being a diplomat from a foreign country. Texas, and maybe, Louisiana, should have their own embassies in Washington D.C., even as states of the United States because Texas and Louisiana really are still foreign countries to their fellow Americans. Momma was a politically astute woman. She did not do or say things because they were expected or because it was the “politically correct fad” of the moment. A politically aware person bases their actions on the situation and their beliefs. A “politically correct” person, is like America’s wimp politicians of the 1970s, who all had the “backbones of jellyfish.” Instead of standing up to controversy or working to find a solution, the “politically correct wimps” went with the “fad of the moment” and made America appear like a moody school girl in domestic and foreign policy matters. Momma was politically aware. She made it a point to vote in every presidential election, every election for sheriff and the school board election. She voted for the other offices like county clerk, governor and the others, but, she really focused on the president because he or she calls the overall shots that can lead to war or peace. The sheriff has massive amounts of power in a county. The school board simply means they can go off the deep end and do things that are really going to send your property taxes through the roof. Momma knew and dealt with politicians in the Ozarks, but, they never really knew if Opal was a supporter or just a polite woman. Down South people understood the remarks identified a level of response. It was a subtle endorsement or a subtle rejection of a candidate, leader, official or the person next door. Down South the “personal friend” and the “acquaintance” remarks were a polite way of showing where you stood. In the Ozarks, people shrugged off the remarks as though it was a boast. Family Holidays “Down South” in Houston, in the 1960s, were treated like “an audience with the Queen of England,” “a formal state dinner at the White House” or “an audience at the Vatican.” The significance of the holiday determined the level of formality. One of the major differences of the 1950s and the 1960s “Down South” as opposed to the Ozarks was in the “formality” of the American Woman. In the South, once you sat foot in a home, it was comfortable, warm, functional and organized like a commanding general’s office. In the home, everything had a place and everything was in the place. Kids grew up with the expectation that all the important formal ceremonies of life would be within the four walls and under the roof. Home for Christmas really meant you had to be “Home for Christmas” to truly enjoy the holiday. There was usually the feeling you get on being assigned to a base on a closure list, which is we do the job, until we get orders somewhere else and the realtors show up here or the bulldozers to start the closure procedure. Kids seemed to grow up with the expectation that their homes were more like “bus stations”, which meant “Christmas On The Road” indicated you wouldn’t have to be home for the holidays. Christmas meant you pulled out all the stops and went for “A Norman Rockwell Christmas” that could be filmed by a major motion picture studio for possible showing on the screens of theaters. Zero Hour for Christmas Day relied on the children. The child was the “On Scene Commander,” once the child got to the Christmas Tree the mission kicked off. 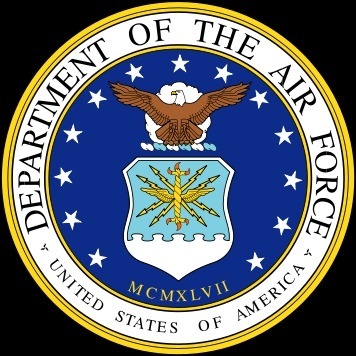 Like a Strategic Air Command Operational Readiness Inspection,you knew it would happen; you just didn’t know when ? Parents hoped the child would wait until sunrise to begin Christmas Day. “Operation Christmas Tree” means the parents watch the kids be kids and have fun. Have the video movie cameras and the film or digital still cameras loaded with charged batteries and recording media positioned nearby. After all, children don’t learn about “photo opportunities ” until they grow older. Once Operation Christmas Tree ends, then, Mom and Dad will have their plans to implement for the rest of the day. Usually the day would extend past Christmas Dinner, while the adults talked until the early evening, when Aunt Bill and Uncle Audrey would head home. I have never been a morning person. C – Day ! Christmas Day was always the exception to my genetic programming. I bolted out of bed. By the time, my tiny feet hit the floor, I was already halfway down the hallway and into the screened in porch room. The huge Christmas Tree was only six foot tall, but, when you are a five-year old boy, the tree in the corner is always as huge as a California Redwood. Momma had massive amounts of matched decorations on the trees. The ornaments were the painted glass ball ornaments of the era. I would shake off my bubble light trance and dive for the brightly wrapped boxes under the tree. It helped that Momma and Daddy were workaholics because I always got what I wanted and more that I didn’t even know existed. The centerpiece of this Christmas celebration for me – the Marx Electric Robot. It was an ugly toy. My robot came out of the box, to display a casket gray and dark maroon paint scheme. It had a face, only a mother could love. It had a square, alphabet block style head. It had a Voodoo mask expression with a hideous toothless grin. The original toy designer must have worked on the sets of Hollywood Halloween Horror flicks because the toy looked scary. It had a toolbox drawer in it’s stomach, which was cool because it had a wrench or two and the rectangular drawer looked like it belonged at that position. The pedestal base leg design was misleading. You thought the robot would walk like a person with one leg in front of the other. Bur, actually, it’s walking function was more of a “rolling” function. The fact that the big robot took two D sized batteries, “flashlight batteries” to move like it “walked” was a big selling point for kids and parents. The C claw pincher hand at the end of the arm allowed the robot to pick up a “Junior” robot, a smaller robot that came packaged with the main robot. I don’t remember the junior robot “doing anything.” It was a sculpted piece of plastic that sat on the floor for the main robot to “pickup” with the pincher arm. The major selling point of this robot was “The Morse Code function.” You pushed the button on the back of the maroon blockhead and the large yellow eyes on the face would “flash out” Morse code. My robot had The Morse Code key printed out in yellow on the back of the robot, so you knew how many dots and dashes you needed to spell out a letter or a word. In the 1950s this robot was “technology.” In 2012, you can find the non-working robots listed on ebay, without the “Junior” plastic robot that always seems to have disappeared. The moving and the Morse Code function of the robot “amazed me.” I always had to show my aunts and uncles this nifty toy when they came by to visit. Everyone always laughed at the ugly little robot with the flashing Morse Code eyes. Even the adults thought it was “swell” because of the Morse Code function. By 1960, it is impossible to imagine a boy in America from age four to 13 that wasn’t ready to pack his bags and report to NASA to become an astronaut. Robots and space toys were all the rage from the date Sputnik launched in 1957 until Man Walked On The Moon in 1969. America could have been and should have been the nation that made Gene Roddenberry’s United Federation of Planet’s Star Trek future a reality. While the future rests in the ether of time, I rip through the paper and become surrounded by a science fiction lunar landscape of discarded boxes and strange paper trees, the floor under the tree would disappear under the revealed toy inventory. Walk into an American bowling alley, cafe, restaurant, hamburger joint, drive in, bar, or beer joint and you would almost always find one and sometimes several bagatelle machines. They were loud, noisy, gaudy and they mesmerized generations of people until the 1980s when the coin-operated video game industry began to install their annoying game machines. Everyone seemed to love the bagatelle machines. You could even buy smaller versions in toy stores and the toy sections of drug stores and grocery stores. America loved her pinball machines. My Marx Three Keys To Treasure Bagatelle Machine was a child’s version of “The Wheel Of Fortune” television game show. Momma, daddy, Aunt Bill, Uncle Audrey, and I would crowd around the kitchen table on a Friday or Saturday evening and play the game. The adults seemed to enjoy the game as much as any kid. There were spaces printed with points listed, which meant if you got a pen and notepad, you could keep track of your points and figure out who had the most skill with the game. One trip to Texas and the game got loaded in the Impala for the trip back to Missouri. In Missouri, whenever the game was placed on the kitchen table, adults and kids always crowded around the machine and the evening passed with people laughing. There was a few years in the 1970s, when the toy occupied a space in the living room closet, but, even in the 1970s, 1980s and 1990s, the toy would appear on the kitchen table and people would crowd around for a game of pinball. In December 2011, the toy was packed into our household goods for shipment to the Republic of the Philippines. Travel turned the pristine, but dusty box into a pathetic version of it’s former glory. The toy survived the trip, with a minor amount of damage. Nonetheless, when the machine is set up on the kitchen table, the kids crowd around for an afternoon of pinball. Christmas morning in Houston, I would look up from the rising sea of discarded Christmas wrapping paper. I radiated, joy, happiness, excitement, like a new sun sending light and energy through space. Mom and Dad would heard the commotion of my childish exaltations. They would step into the room, smiling, wearing pajamas and bulky red Christmas bath robes. Each had a cup of piping hot coffee that they sipped on. The camera in my mind snapped the picture of Mom and Dad standing there smiling at me sipping their coffee. Click ! That “Kodak Moment” is forever framed in the photographic gallery of my memory. I was a blessed little boy. I was a spoiled little boy. 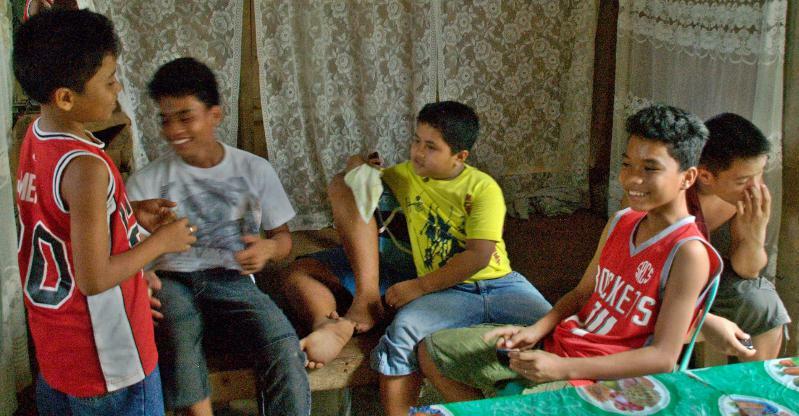 Back in the 21st Century, One Warren Way, Barangay Baras, Leyte, Republic of the Philippines. I watched Christy and the kids cut out the letters for a holiday banner like a New York City jeweler facets a diamond. They were meticulous and precise in their use of the scissors on the paper. As the days until Christmas Day pass, the kids talk about and look forward to their school Christmas parties. My wish is Christmas morning, the kids notice Uncle Sam and Aunt Christy stroll out on the porch to watch them release their “inner kid” on the brightly wrapped boxes under the Christmas Tree. I hope they pause only long enough to capture a “Kodak Moment” that they can place in the photo folders of their minds to hang on to in the years to come. Early in the morning, Christy and I will both be sipping from hot cups of coffee. Of course, Uncle Sam with his camera will be ready to take a few family snapshots. The nice thing about being a kid in the 1950s is you got tin and metal toys at Christmas to play with. I had a collection of Auburn hard rubber cars and trucks to play with. They were fun toys to play with. I didn’t like the plastic toys because they broke too easily. I loved the metal and tin toys because they were durable and could take whatever you through at them. Usually the worst thing that happen would be you might knock off some paint from the toy. You could leave a tin or metal toy out in the rain or snow and it would still be where you left it. And, even in the salt air of Texas, the toy didn’t “rust out” that quickly. In the mid to late 1960s, parents began to complain to Congress that the tin and metal toys had sharp edges that might hurt the child. Then, in the 1970s, some kids had put the metal toys in their mouth. Parents complained to Congress because many of the metal toys were coated in lead based paint, which was suppose to create health problems and lower the child’s I.Q. Congress, of course, passed the laws. The rubber toys were fun and would last for generations. The metal and tin toys were durable and would last for generations. The plastic toys were cheap. Accidentally, drop a plastic toy and it could smash to smithereens. Usually, a plastic toy lasted only a few minutes. Opal The Business Woman Welder by Samuel E. Warren Jr.
Opal M. DeLong Warren was born in 1920, the year women got the “right to vote” in Missouri. Opal never claimed to be a feminist or a women’s libber, but, she bought land in Missouri in her own name at a time, when a woman usually had to buy land in her father’s name or a husband’s name. She bought land in Texas in her own name, when usually a woman had to purhase land in a father or husband’s name. When it came to “business”, Opal didn’t take risk. Her financial secret was, “she learned to save and manage her money.” During World War II, Opal worked as a welder in the Todd-Houston shipyard. Opal M. DeLong Warren, my mother, began telling me her “business stories” as soon as my young ears could add meaning to sound. Charley Herman DeLong, my mother’s father, had been born an Aries. He apparently was an Aries man, who never succeeded in a business of any kind. He had tried several different business enterprises in his life and never found his niche. Grandpa DeLong didn’t make it as a farmer, but, his eldest son, Richard the Capricorn learned how to plant crops and raise livestock. Grandpa had a short career as a fur trapper. But, he never made any money selling animal pelts, so his old animal traps got inherited by momma. Grandpa DeLong even tried his hand at alcohol production. Not a wise decision, in the years, when “Prohibition” was “The Law Of The Land” in the United States. Of course, if their was any “commotion” in the woods, young Opal had been told to yell and run frantically through the woods screaming. Grandpa like other “moonshiners” kept his still hidden in the woods. Unfortunately, the brewing process creates smoke that rises into the sky and can be seen for miles away, especially by the sheriff and deputies looking for the still. Momma told me she did remember Grandpa staying for a time in the courthouse at Galena. As a young girl, she got to “visit” him for awhile. 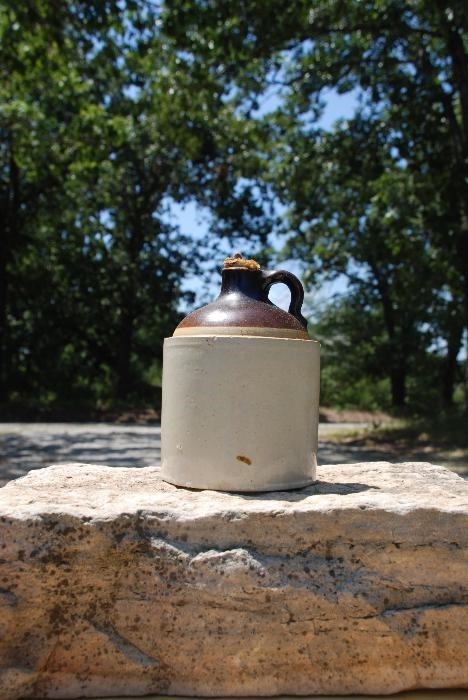 This little brown jug belonged to Charley Herman DeLong, who tried his hand at making Missouri “Moonshine.” Photo by Samuel E. Warren Jr.
Stone County, Missouri courthouse records reveal “Grandpa DeLong” was a “guest of Stone County and The State Of Missouri.” He had been caught at his still and didn’t have money for bail. Grandpa DeLong tried throughout his life to find a successful way to make money for his family. He made one great business decision that stood the test of time. His signature is on the yellowing Bank of Reeds Spring “loan” paperwork where he signed for five dollars to “buy” a pear orchard. The Land joined Land already owned by the DeLong Family. In The Great Depression, the purchase of the pear orchard was a “wise” decision. Commercial cattle and hog feed had not been introduced into rural southwest Missouri farms beyond Greene County. Even if farmers knew about the feed, they would not of had the money to buy it. Cattle had to live off acorns and the pasture grasses and perhaps, some hay in the winter. Hogs find food by routing their snouts in the soil and finding what they want to eat like roots, worms and snakes that slither away too slow. In the country, before the 1970s, homes didn’t have waste cans and trash cans. The Slop Bucket sit on the floor. Old dishwater, vegetable peelings, fruit rinds and old meat got dumped into the slop bucket. Before nightfall, the slop bucket was taken down on the hill to the hog pen and poured into the trough. Hogs, “The Almighty’s Ultimate Shredding And Recycle Machines” would consume the kitchen garbage. Hogs are “Bulldozers With An Appetite” because they drop their snouts in the soil and bulldoze away at anything that slips between their teeth. Like people, hogs eat pears. While people pick the pears to eat right off the trees. The pears can also be chilled for use in a dessert. Grandma and other women, would save the pears for the “canning” process to save the pears in Mason jars. Ozarks women were skilled at canning the fruit and using different fruits for preserves, jams and jellies. The pear orchard is an excellent example of a piece of land that always paid for itself several times over until it was sold with the rest of the land in 2007. Grandma DeLong, a Virgo woman had to earn a daily living for the family. She would gather the chicken eggs, milk the cows to churn butter and then walk miles to a local store at Sack And All City, a rural grist mill and country store, or to Reeds Spring to sell them to a larger grocer. In spring through autumn, Grandma and Uncle Richard would take the buckboard wagon into the woods to cut down trees for two weeks at a time, They would take the logs on the wagon to Reeds Spring to sell to the Union Pacific buyer, who bought the logs for railroad ties. Blackberry Season and Gooseberry Season, Grandma DeLong would “fetch” her bucket and head off down over the hill into the hollers to pick the berries for pies, cobblers and canning. On one of these annual berry-picking trips, one of grandma’s sisters from Springfield had come to visit for the day. Grandma’s sister went into the woods with the rest of the women to pick berries. A tree fell on the woman. An obituary in the Springfield newspaper recounts the tragic accident. The old tree simply fell and the woman was unable to move out of the path of the falling tree. My Virgo grandmother with the help of Richard, her eldest Capricorn son always made the ends meet to raise the rest of the family whether they lived in a holler, near Reeds Spring, or out on the highway between Galena and Abesville. Grandma and Uncle Richard raised the livestock and the crops that paid for the DeLong Land between Galena and Abesville. Uncle Richard worked with an extension agent to get two ponds dug and stocked on the farm with catfish. In his younger years, Uncle Richard would break the ground by Highway A and plant rows of corn. One year, Cousin Donna and I sat on the disk harrow that was attached to the back of the John Deere A Model tractor. A huge rock surrounded by bailing wire was tied to each end of the harrow to try to keep the metal frame weighed down close to the soil. I and Cousin Donna were the human weights that sat on the plow. The slender metal disc points went down into the soil and kept digging up rocks of all sizes from Stone County’s rocky, dusty, light gray soil. By day’s end, Cousin Donna and I looked like we were covered by the volcanic ash of Mount Pinatubo. The soil had been broke to plant the corn. We had sat on the plow, which had been dragged over the acreage to break the soil. The Life Of A Human Shock Absorber is not a job I ever wanted after being bounced around over the countryside for 12 hours. The ponds provided water for the cattle, hogs and a few head of horses and mules. Uncle Charley Ball, of Springfield, Missouri, always looked forward to the visits to “Richard and Marthy” because he could take the fishing rod out of the back of his green 1952 Chevrolet sedan and go sit on the pond bank to fish and smoke his pipe. Grandma and Uncle Richard’s agricultural business decisions allowed the DeLong Family to farm and own 360 acres, on both sides of State Highway 176 in Stone County, in southwest Missouri from the 1930s until 2007. Opal had always been tall for her age. She went to school and learned to cook for her brothers, who were out in the fields farming, near Reeds Spring and later, near Abesville, Missouri. At a young age, Opal worked for a few weeks cleaning house for a woman in Galena, known as “Grandma Stewart.” She lived in a white house, across the road, in front of the Warren Lumber Yard. “I made 25 cents a week. I got paid to clean her house,” said Opal. Opal’s First Public Job of earning a regular salary was in northern Missouri. Brother Willie decided to become an “outdoors man” and lived off the land, near Reeds Spring and James River, hunting and fishing. Willie had a son, Harold, and a daughter, Reva. His life ended abruptly at a country wedding reception, near Reeds Spring, in the early 1930s. A gunman began shooting people and Uncle Willie was fatally wounded. Brother Hobert moved to a farm near Abesville. He and his wife, Mary had two sons, Bill, Bob and a daughter, Donna. Uncle Hobert always had the reputation of being a “marksman” and an excellent hunter. He would always return from the woods with “a mess of squirrels or rabbits” for dinner. 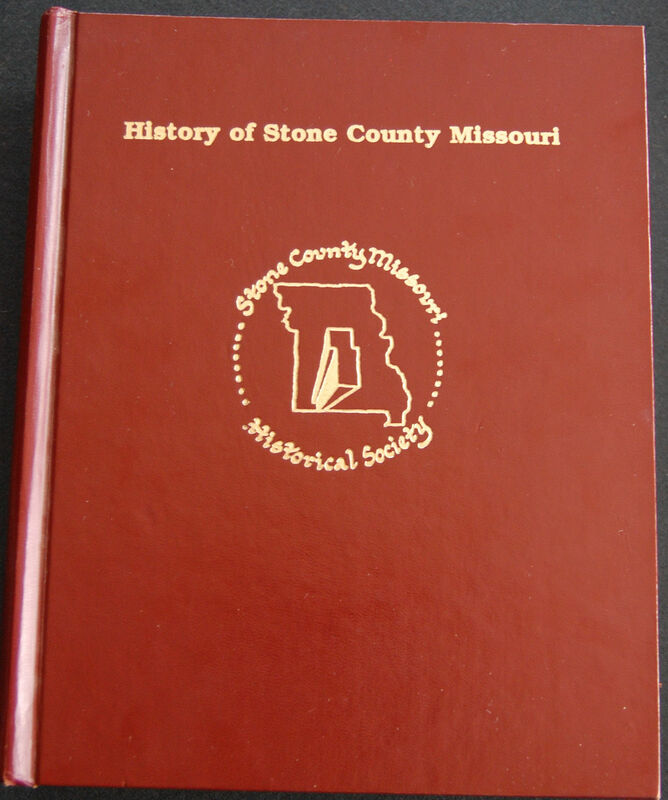 Brother Joe went to work for the Burlington Northern railroad and later retired back to Stone County, Missouri. He had a daughter, named Darlene, who lives in Michigan. Opal, my Pisces mother, learned how to drive by sitting in a Ford Model T and having one of her brothers push the vehicle at the top of a hill. “As the vehicle rushed down off over the hill on the rough, gravel farm road, the engine would start. I would hold on to the steering wheel and turn it to keep the Model T in the road. That is how I learned to drive,” said Opal. She only worked at that job a few months, but, in the process, discovered “relatives” on her mother’s side that she never knew existed. My great-grandmother and my mother’s grandmother,Carol Jane Bellamy, a Sagittarius woman, had left northern Missouri and moved to Stone County, Missouri sometime near 1900. Great-grandmother Bellamy the Sagittarian, outlived her first husband. When her second husband didn’t want to leave northern Missouri. My great-grandmother embraced the Sagittarian passion for travel and the maternal love for her daughters and son and left her husband for a chance at a better life in Stone County, Missouri. It was the right decision. Grandma Bellamy raised her children and became a financial role model for her Pisces granddaughter, Opal. Momma always remembered, everyone was poor, but, Grandma Bellamy never went hungry and she kept her children from going hungry by always having enough money for food. A woman who walked past the liquor store thought my mother looked familiar. She went in and talked to her, A few days later, the woman returned with a photo album. She asked momma if any of the people in the photographs looked familiar. 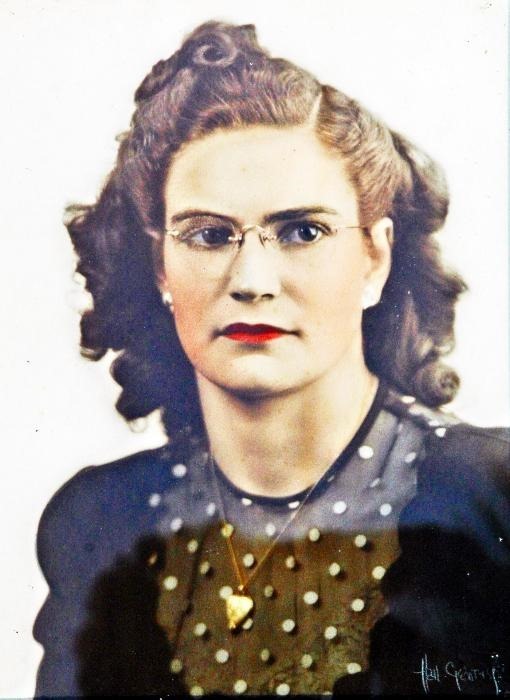 Momma recognized a maternal aunt in one of the photos. Suddenly the family connections to northern Missouri cousins became clear and obvious. Opal left northern Missouri and returned to Greene County, in southwest Missouri. For a brief time, she worked as one of the cooks at St. John’s Hospital in Springfield. “The old nuns on staff at the hospital were jealous of all the young girls on the staff and in the nursing school. They had all kinds of rules that made work and life difficult because they were always looking over your shoulder,” said Opal. “The cooking job at St. John’s didn’t pay enough to put up with that kind of silliness from the old nuns. I quit and found another better paying job that allowed me to make my own decisions about my life,” said Opal. Then, momma went to work at a bar for railroad men, near Commercial Street in Springfield Missouri, and close to the Frisco railroad yard. “The railroad men worked hard and would come into the bar for something to eat or drink. I never had any problems being a young girl and working there. Times were tough. No one really had any money. You usually made enough just to get by from week to week,” said Opal. “I’ll never forget the day World War II started for the United States. I was sitting in a theater in Springfield, Missouri. They stopped the movie. The house lights came on. They made the announcement over the loud speaker that Pearl Harbor had just been bombed,” Momma said. “When the war broke out, I talked to some other young women, who had joined the Army and the Navy in Springfield. 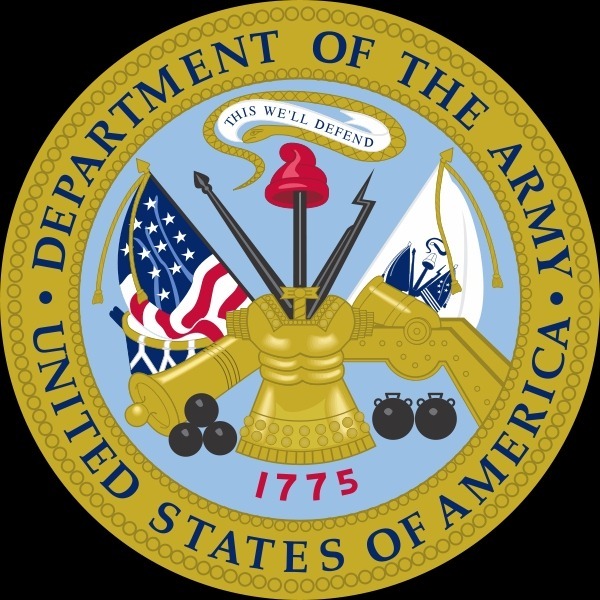 I had my heart set on joining the Army for a time. There was an Army camp in Springfield. You could join up and serve, without ever leaving Springfield they told me,” said Opal. Opal and another waitress at the railroad bar talked about the war. Then, on a whim, they went to the Greyhound bus station. They looked up at the destinations and chose Texas. Momma and her friend, knew no one in Texas. “The decision was one of the craziest things I have ever done. I still don’t know why I did it. My friend and I were just tired of living and working in Springfield. We had no idea where we were going or what we were doing. We just went for a bus ride. We got on and off at the different stops,” said Opal. “We got off the Greyhound in Dallas. We looked around. She liked the look of Dallas and didn’t get back on the bus. I got back on the bus. When the bus, stopped in Houston, I got off and decided I liked the looks of Houston,”said Momma. “I walked out of the bus station and had no idea what I was going to do. I only had a few dollars left in my purse. I got a room at a boarding house, near the bus station for two dollars a week. The next day, I went out looking for work. I saw a newspaper ad that they were hiring welders at the Todd-Houston shipyard,” said Opal. “I didn’t have any money for food. I just had a few cents left in my wallet, so I bought a couple of slices of bread. Water was free. I got a glass at the boarding house and got me a glass of water to have with my bread,”said Opal. “The heat in Houston would wear you out just walking up the street. There was an old electric fan in the room. I drew a tub of cool water and took my clothes off. I got in the tub, ate my bread and drank my water,” said Momma. She had an overnight bag and a small suitcase to put in the boarding room closet. “I got up and got dressed the next day to go out looking for a job. I had a nice white satin blouse I wore. I got the job and they sent me straight to welding school the same day,” said Opal. “Arc welding throws off sparks that hit my blouse all over. By the end of the day, I had all these tiny burnt pinholes all over my blouse. I was so embarrassed. I hunkered over in the bus seat. I kept my head down and my arms folded hoping that no one would notice how my skin was showing through the blouse. That was the longest bus ride home that night,” frowns Momma. Youth can trump logic and common sense. The optimism of youth can shrug off the “Fear Of The Unknown.” Young people don’t fear the future; they challenge it. “We were always so proud whenever we finished one of those big, beautiful ships. We would attend the christening and watch the ship slip down the rails of the dry dock into the water. Then, I would get sad. I would think about all the boys, who were going to sail on that ship into war,” said Momma. “Another welder at the shipyard, introduced himself to Opal. “He was a lousy welder. You would always have to go back, chip away at his welds and brush away the slag metal. Then, you would have to run a good bead of metal over the work. I couldn’t imagine why the bosses at the shipyard didn’t fire this man. We always had to go back over his work,” said Opal. 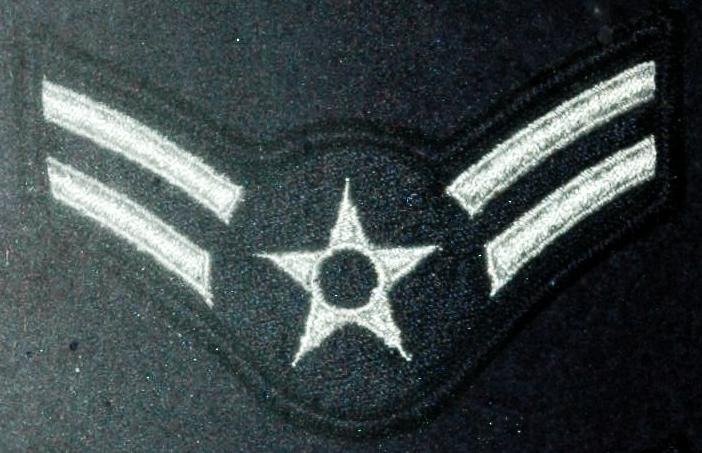 “A few days later, he did show me his badge. During the war, there was always the fear of saboteurs. There were posters all around the shipyard and the bosses and the foremen would always remind you, ‘Loose Lips Sinks Ships,’”said Momma. “He told me he had been sent there to look for someone. He didn’t get specific. I didn’t ask questions. He wanted me to introduce him to some of the workers around the shipyard and I did. He must of got whoever he was looking for. A few weeks later, we gave him a going away party as a welder, who was leaving,” said Momma. Opal became a shop steward at the shipyard. “I met your daddy at the shipyard. After he got his honorable discharge from the Army, he got on out at Todd-Houston as a painter. A friend set me up on a blind date for Thanksgiving. I wasn’t impressed. “Your daddy was a lousy painter. A friend told me later that the first time Sammy seen me, he told his friend, ‘I’m going to marry that woman.’ I accepted his invitation for a second date. We started dating. Then, in January of 1947, we got married,” said Momma. Samuel E. Warren made a smart decision to marry Opal M. DeLong. His second smart decision was to marry her on his birthday, which meant he would never “forget” his anniversary. Momma always stressed the importance of family to me in her business conversations. “You get many things in life. The only thing that matters is family. You get one mother. You get one father. Your brothers and sisters can’t be replaced. Once they are gone – they are gone. Always love and take care of your family. Family Is Everything,” she would emphasize time and again. People in the Ozarks have a stubborn “work ethic.” The money was simply money from family for the family. And, family always takes care of one another. As a kid, I would always smile whenever money changed hands in the DeLong Family. They always took a simple act of human kindness in the family and made it seem like Federal Reserve bankers accounting for each coin and currency in a US Mint shipment. If Momma went to a grocery store and saw food or drink that grandma and Uncle Richard liked, she would buy it. Grandma DeLong always made Momma get her “change purse” and take out the money to pay for the groceries. Uncle Richard always did the same thing if Momma picked up groceries or farm supplies for him. It never mattered if the cost was a few cents or several dollars, Grandma and Uncle Richard always made sure Momma got paid back any money she spent for them. Filipino Farmer Foto Feature Photos by Samuel E. Warren Jr.
At 9 a.m., December 10. 2012, the first pig of the litter arrived “squealing” for air. 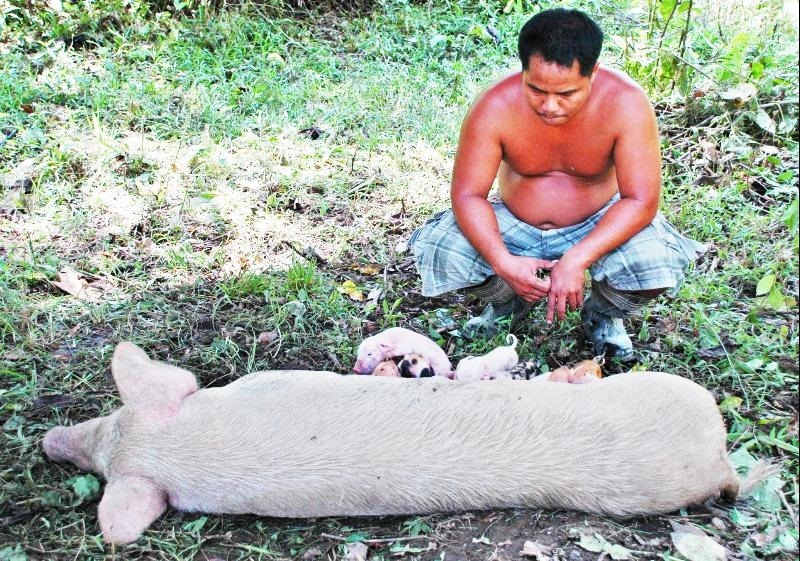 Ramon dashed to the old sow’s side and assisted in the delivery of the rest of the pigs. After birth, an old sow can accidently lay down on one of her own pigs and be so disoriented that she won’t respond to the squeals. Ramon put up a tarp on bamboo poles to provide a shade for the old sow, who simply laid down out in the sun and started to farrow. Nikon D 70 Photo by Samuel E. Warren Jr. This Yorkshire pig arrived in “The Real World”,shortly after 9 a.m., December 10, 2012. A few minutes after birth, he seemed as “hungry” as his other brothers and sisters. But, the process of being born, obviously, takes a moment for you to gather the strength to stand and walk, at least, for a baby pig. Nikon D 70 Photo by Samuel E. Warren Jr.
“Lunch !” The Yorkshire sow stretches out on the ground. She has had a busy morning. 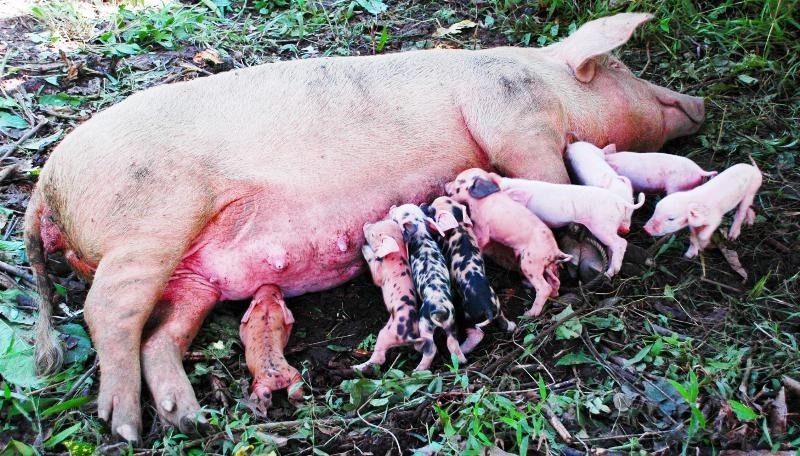 She just gave birth to a litter of 10 pigs. Once the pigs were cleaned up they scrambled over each other for an “early lunch”, compliments of their Yorkshire mother. Nikon D 70 Photo by Samuel E. Warren Jr.
Christmas Camel For Kids Photos by Samuel E. Warren Jr.
Ranilo came home with the school assignment to carve a camel for a Christmas decoration to take to school. My Uncle Richard DeLong had “whittled” a wooden horse for my mother, when she was a little girl. My Uncle Hobert DeLong would sit on the porch with a piece of wood and his sharp pocket knife and whittle out wooden figures and toys. My mind drew an absolute blank. In my mind’s eye, I imagined a distant silhouette, but, not clear enough to draw on paper. Internet time ! I fired up the laptop and used the search engines to browse camel clip art and camel line art. The artwork I found was extremely “kiddish” and heavily emphasized cartoons. 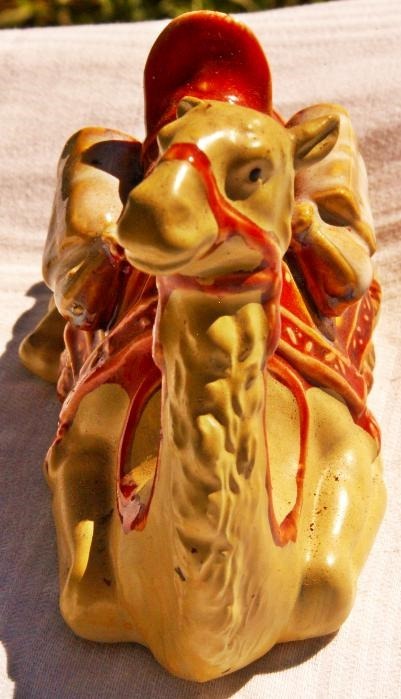 I found a photo on Wikipedia, but not enough of an image to give me a head to toe and front to back view of a camel. I finally found one piece of artwork, that showed a camel lying down that seemed close enough to the “Real World” image hidden in the back corner of the Morgue Of My Mind. I sketched out the image on paper and gave it to Ranilo. I stepped inside, picked up the Nikon D 100 and a white Ozarks dish towel. 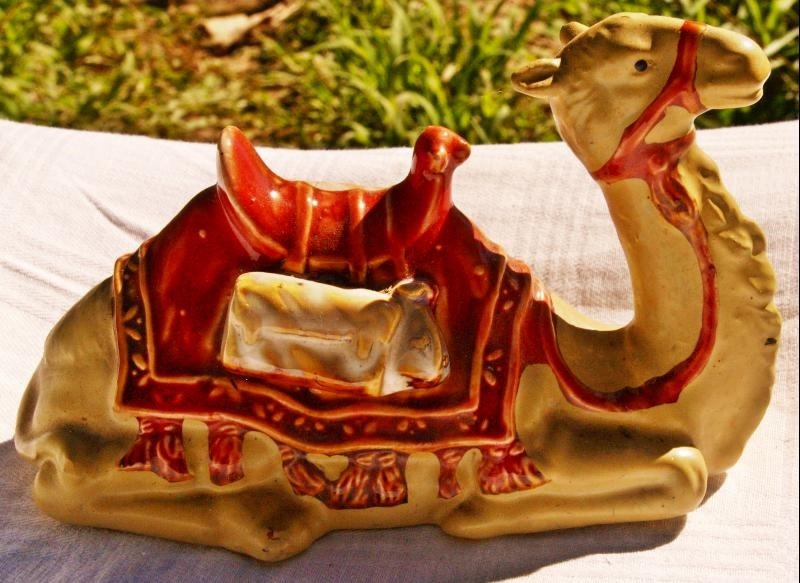 I stepped outside picked up a bamboo end table and the ceramic camel and strolled out into the sunlight. I put the camel down on the dish towel background and realized that other kids might have teachers that wanted them to draw or create some artistic version of a camel. A photo is crucial to help fill in those vague image gaps of memory. This hog rests under a coconut tree in Barangay Balud, Leyte, Republic of the Philippines. The hog is resting on a hill top. Behind the hog, is a drop off of about 10 feet straight down into the river, which shows up as a yellow color in the top of the photo. I grew up on a hog farm, between Abesville and Galena, Missouri, in rural Stone County. My mother used about 10 acres of land for 25 head of hogs, Duroc, Hampshire and Yorkshire breeds to raise numerous litters of feeder pigs for market. 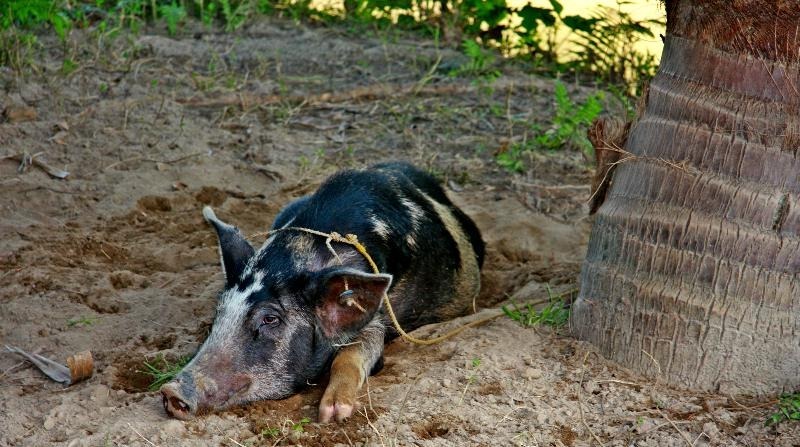 From 1960 until 1982, before the county voted in Planning and Zoning, the hogs loved to “root” their snouts in the soil and wallow in beds of leaves in the hollow. The woven wire fence with the strand of barbed wire, usually kept the hogs in the field. Every now and then, Momma would have to put a “ring” in a boar’s nose to keep him from “rooting under the fence” and getting out on the state highway. Filipino farmers don’t usually have the acreage to allow the hogs to roam, so it is not uncommon to see a sow or boar tethered to a tree. Wade Martin, of Abesville, Missouri, is one American farmer, who could appreciate the weather and real estate limitations that Filipino farmers have to endure to raise a feeder pig for meat for the family or trying to get a litter ready to go to market. I shot this photograph about 2:30 p.m., February 24, 2012. February is usually a cold month, with at least one snowfall in southwest Missouri and farmers are grateful if the temperatures rise about freezing – 32 degrees. On this February day in Leyte, it was around seventy degrees, which explains why the hog was stretched out for an afternoon nap in the heat. Canon EOS 40 D Photo by Samuel E. Warren Jr.
Flickr Tags: Hog Day Afternoon, hog, coconut tree, Baragauy Balud, Leyte, Republic of the Philippines, eastern visayas, island, tropics, river, hog farm, Abesville, Galena, Missouri, Stone County, mother, acres, land, Duroc, Hampshire, Yorkshire, litters, feederpigs, market, 1960, 1982, PlanningandZoning, sow, boar, Wade Martin, American farmer, weather, real estate, Filipino farmers, February 24 2012, Canon EOS 40D Photo by Samuel E. Warren Jr. The Birthday Girl – Marife Saldana Roa, the birthday girl, opens her birthday cards. The kids and Tito Sam used their best creative efforts to make some birthday cards for the special day. Nikon D 100 Photo by Samuel E. Warren Jr.
Marife Saldana was about 14 when she came to Angeles City and her sister, Christy, enrolled her in Dau Academy. The Sisters — Christy Warren and Marife Saldana Roa, the sisters, talk and joke for a fe moments, before the birthday party gets underay. Nikon D 100 Photo by Samuel E. Warren Jr. I met Marife, when she was the teenager. Like her friends in the school’s white uniform blouses and required green skirts they talked about the things teenage girls talk about like: boys. “Girl Talk” — Pina Gempis and Marife Roa talk in the kitchen. Pina spent the morning, cooking spaghetti and pancit canton for the birthday party. In the Filipino culture, pancit canton is the Filipino dish you expect to find at a birthday party because tradition states that pancit canton is a symbol of a long life. Nikon D 100 Photo by Samuel E. Warren Jr.
and on weekends because “texting” had yet to be invented. May 29 is Marife’s birthday. 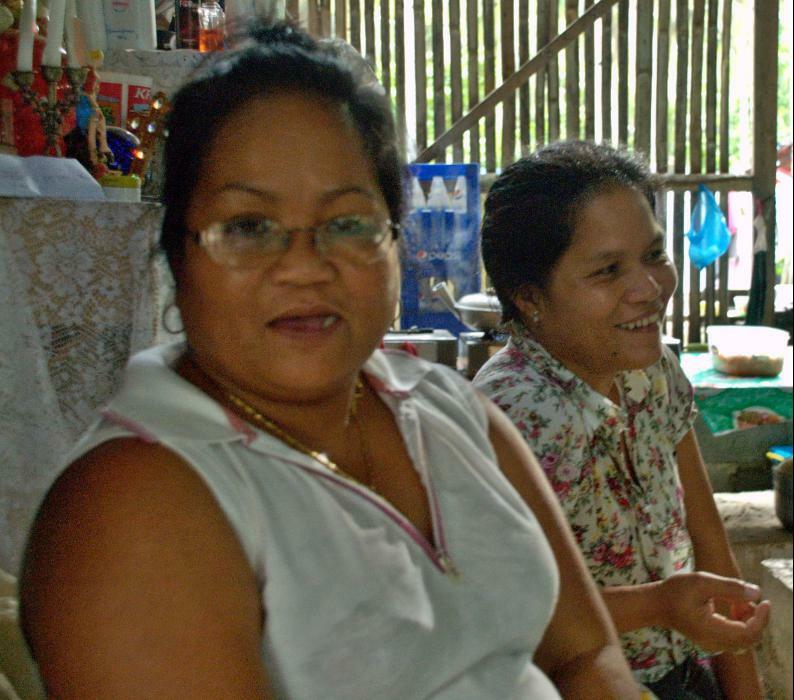 Even as a teenager, Marife had a smile and a quiet personality. In 2012, Marife is married to Ninoy Roa and the mother of four boys: Gilbert, Glen, Chrismar and Mac Mac. “Happy Birthday to you.” — Christy Warren lights the candles on the birthday cake. Today was a milestone, other than age. The last time Christy bought a birthday cake and had a birthday party for her sister, Marife, she was 16. 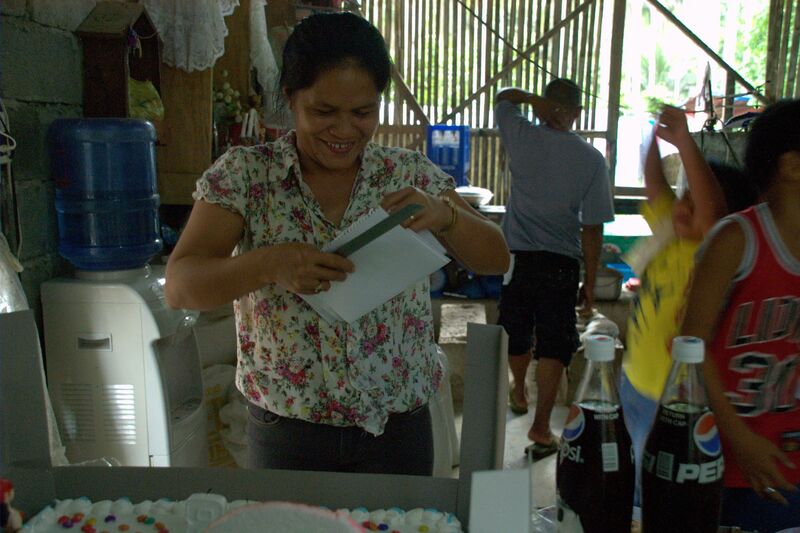 Christy returned to the Republic of the Philippines in December 2011, and this was the first opportunity, she had to have a birthday party for her sister Marife. Although Marife Saldana Roa is my sister-in-law, I have always believed, “She is the daughter I should of had.” As a teenager, Marife was always respectful to her elders, did well in school, and never hesitated to use her English skills to tell me what was going on in school. As a teenager, she always treated me like a father and since our return to the Philippines, Marife continues to be the daughter I should of had. The Good Morning Bakery Birthday Cake. Nikon D 100 Photo by Samuel E. Warren Jr.
May 28, Christy went to the “Good Morning Bakery” in Palo and ordered the birthday cake. Christy looked through the pictures of the birthday cakes and picked out the design. The selection of the birthday cake became a Major Military Operation because I went along to order the birthday cake. I’m one of those people, who as a child was always “picky” about the kind of food I ate and “where I ate.” As a senior citizen, I remain “picky” about my food from birthday cakes to anything I eat. 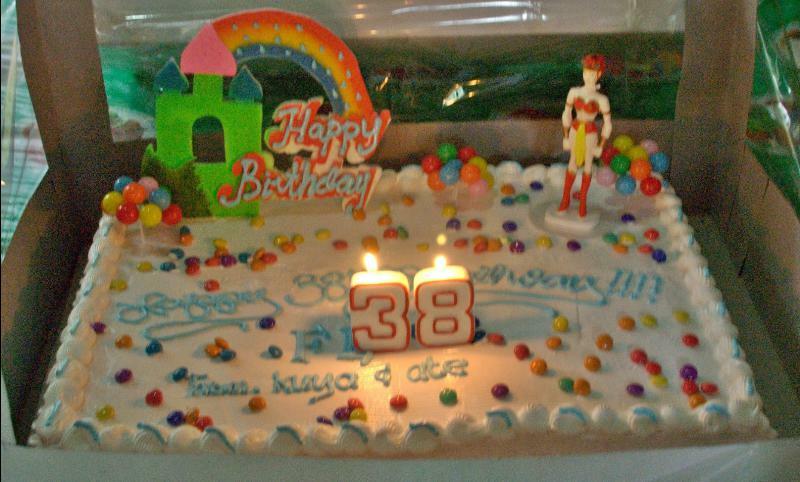 When selecting the novelty to place on the cake, Christy remembered as a teenager that Marife liked the TV show, “Darna.” Darna is a Filipino super heroine, whose American counterpart is “Wonder Woman.” Like “Wonder Woman” in the United States, “Darna” is a character in the Philippines that is always portrayed by the most beautiful Filipina actresses of every generation in the movies and on TV. Darna has always been a positive role model for Filipina girls. Back in the 1980s, whenever a Darna TV show or movie came on, I plopped down on the sofa beside Ramon and Marife to watch. Thus, the Darna super heroine doll stood tall in a corner of the cake. The Good Morning Bakery birthday cake was pleasing to the eye. I was impressed by the taste. The vanilla cake was moist to the tongue. Regardless of where I have been in the world and had birthday cakes or wedding cakes, one thing I always remember is that sometimes the cakes are dry. Once the cake comes in contact with your tongue you dash like a man in the desert for the nearest source of liquid to quench your steel wool thirst. Christy overcomes the dryness problem with cakes by using butter to keep the cake moist. 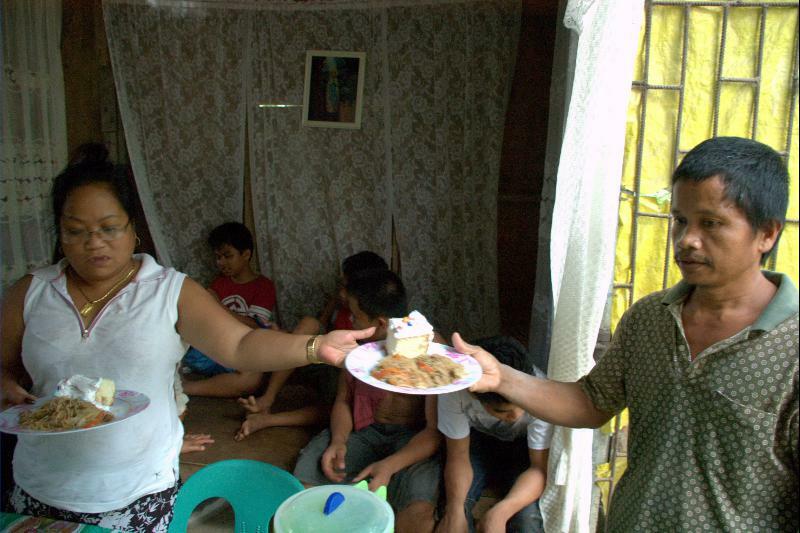 Christy Warren serves up a helping of birthday cake and pancit canton to Edwin Mora. Nikon D 100 Photo by Samuel E. Warren Jr. The smiling faces of the attendees and the second-helpings were a testament to the flavor of the birthday cake. And the icing was a favorite with the adults as well as the kids. 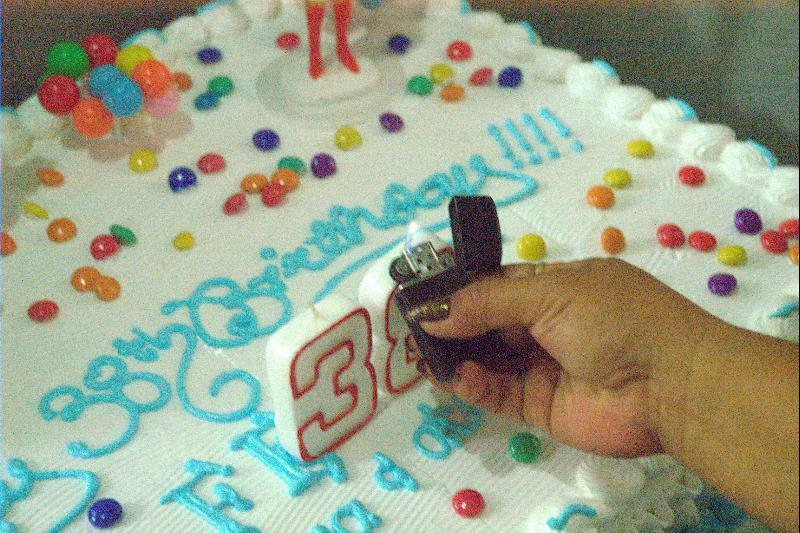 Marife is not the only Saldana relative, who celebrates May 29 as the birthday. Randy Abano, a second cousin, is a close family member, who also shares the Gemini day. 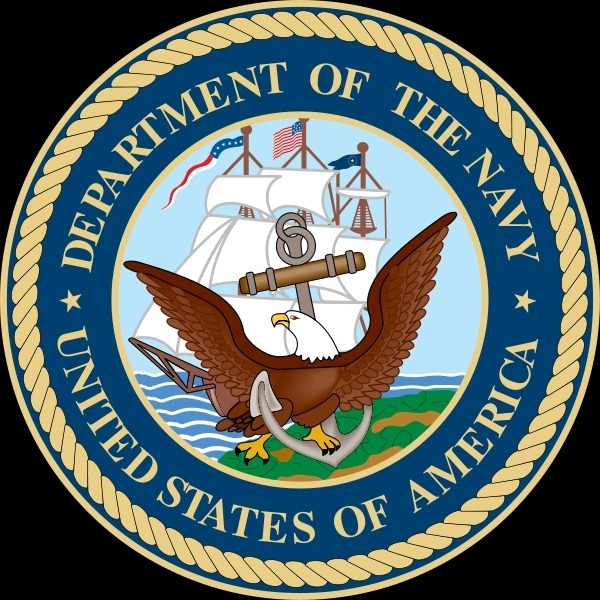 All Western astrological signs have their positive and negative values and Gemini is a sign often considered to be “moody.” However, Marife and Randy remind me of the famous American Gemini, who served as a United States Navy PT boat commander, who went on to become a great American President – John Fitzgerald Kennedy. 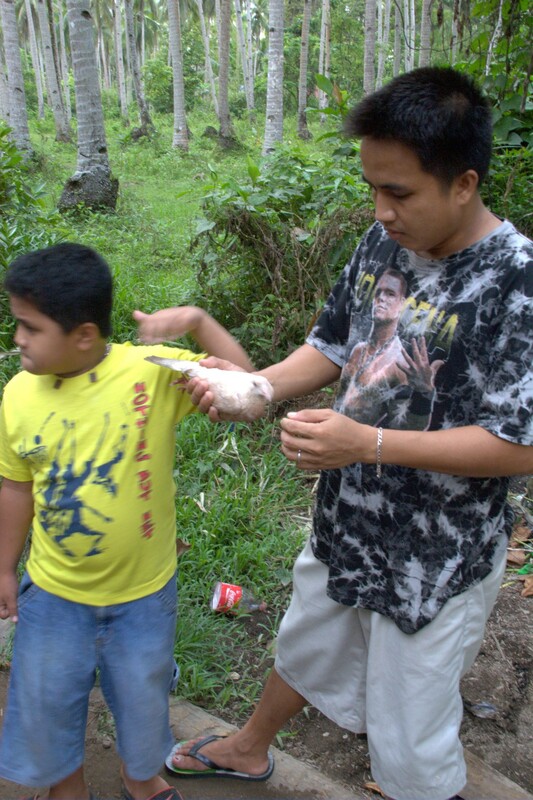 Before the birthday party began, Ranyiel Saldana handed one of the pet pigeons to Randy Abano to examine. Nikon D 100 Photo by Samuel E. Warren Jr.
Randy is a quiet young man, who is always ready to help out. Perhaps, he is “picky” about dating because he is still a single man. Before I conclude this birthday article, I leave my readers two points to ponder. In my lifetime, at birthday parties, I have always noticed that usually it seems the birthday boy or the birthday girl is expected “to cut the cake.” Why is that ? The birthday is the day of days, when the individual can truly celebrate the anniversary of their birth into this world. It is the one time every year, when every man, woman and child should be respected as one of “God’s unique gifts to the Universe.” While family and friends usually do try to honor the person, the glitch always seems to come at cake time. Instead of a family member or friend stepping up from the ranks to do the honor, the birthday boy or birthday girl is usually left positioned behind the cake to decide how to cut if, while the fate of the Free World and human civilization hangs in the balance. On my birthday, I always smile, step back and would hand the knife to my mother, Cousin Donna, or my wife, Christy, and reply, “I do a lousy job of cutting a cake.” I knew my talents in life did not include cake cutting, thus, one of my trusted love ones had to have a more precise skill of cake cutting than I would ever master. Most often a Wedding is an expensive personal ceremony that ranks right up their with Presidential Ignauration Ceremonies. All the planning, pomp and circumstance goes into planning weddings as though it were a re-enactment of “The D-Day Landing.” After the traditional “cutesie moment” of the bride “smushing” cake into her new husband’s face and him doing likewise to his new wife, then, the marvelous machinery of the wedding celebration rockets into high gear and the wedding cake is quickly distributed to the masses. Unfortunately, Birthday Celebrations are sometimes one of those “Fly By The Seat Of Your Pants” events that suggests you are making it up as you go along. The best birthday celebrations always seem to collapse like a fallen cake at serving time. One reason maybe the absence of the ingenious device – “The Cake Server” – a utensil shaped like a pizza slice with a laid back L shaped handle that allows the utensil to slide in under the cake and raise it triumphantly in one piece up into the atmosphere. Without the cake server, people’s stomachs always override their sense of logistics and spoons and forks are stabbed at the cake like prehistoric cave people trying to free the charbroiled dinosaur bone from the family flame pit. It is a given, that the piece of cake will wobble and collapse like a badly constructed tower, near, and sometimes actually in the plate. My solution is to use a knife and a fork or spoon to actually “balance” the piece of cake to the nearby plate. My crude forklift tactic usually prevents the cake from becoming a Tower of Babble re-enactment. The Royal Imperial Professional College of Birthday Cake Taste Testers — of any country is kids. The Saldana and Roa kids enjoyment of The Good Morning Bakery of Palo’s birthday cake quickly attained a positive five-star rating from the M &Ms, to the vanilla flavor and the icing. Nikon D 100 Photo by Samuel E. Warren Jr.
Of course, Marife and Randy’s birthday party went off without a hitch because Christy Warren is a natural born protocol officer. I suspect my wife must have been a protocol officer at a Royal European Court in one of her past lives. Thus, when it came time to blow out the candles Marife and Randy made their wishes and blew out the candles. The Birthday Dignitaries – Marife Saldana Roa and Randy Abano gather around the birthday cake, while Ann Ann Natividad watches in the background. Nikon D 100 Photo by Samuel E. Warren Jr. Happy Birthday, Marife ! Happy Birthday, Randy !